I write plays for people who wouldn’t be seen dead in the theatre. 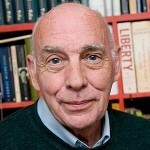 Barrie Colin Keeffe is an English dramatist and screenwriter, best known for his screenplay for the 1981 film The Long Good Friday. Keeffe was educated at East Ham Grammar School and joined the National Youth Theatre as an actor, but actually started work as a journalist. His first television play The Substitute, was produced in 1972, his first theatre play Only a Game in 1973 and became a full time dramatic author in 1975: his theatre plays have been produced in 26 countries.